The instruments used by fly the T-2 across the United States. 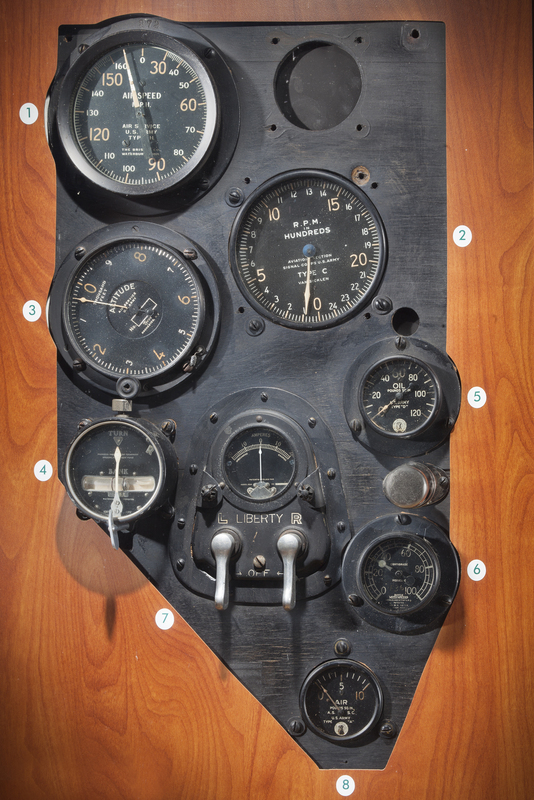 John Macready and Oakley Kelly used these basic instruments to fly the T-2 by dead reckoning—“seat of the pants” flying—as they hugged the terrain on their way to San Diego. Photo by Eric Long, Smithsonian National Air and Space Museum (NASM 2014-04347).